Window Tint Florida is Proud to Serve Orlando! Orlando’s best residential window tint and commercial window tint and film providers. Orlando Florida is one of the most popular vacation spots in the world thanks to all the wonderful theme parks and thanks of course to the reliably spectacular weather. But that very same weather can also be a serious drain on the expenses of Orlando residents and business operators: near constant sunshine is great for the tourists who flock to Orlando, but for those who call it home, it means much higher energy bills due to the near constant need for air conditioning. It’s as simple as pay the price, or else shut all the blinds and pull the curtains and block out the sun’s heat along with the beautiful natural light that you love about Orlando, right? 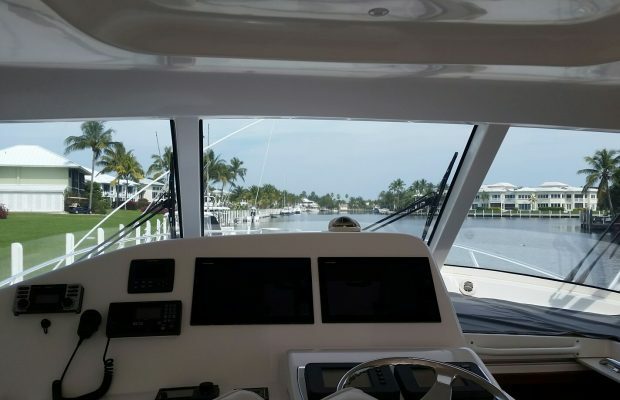 Nope, actually you can block the heat and enjoy the sunlight as long as you first call Window Tint Florida and have us install window films in your Orlando property! 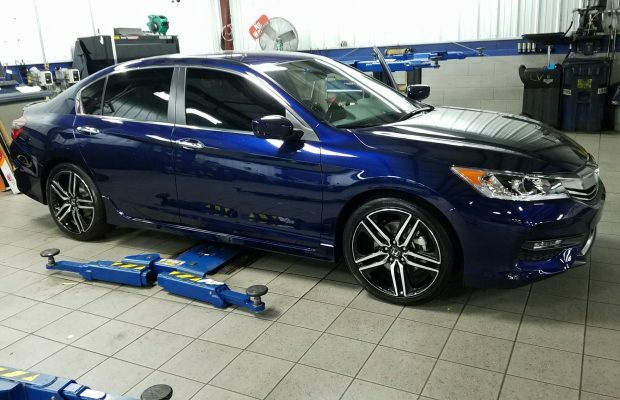 And of course there’s more to Orlando Window Tint Film than just the lower energy bills that come with window tinting: while Orlando is wonderful place to live or to operate a business, it’s also true that in any big city anywhere in the world bad things are bound to happen from time to time. Your residence or business faces the threat of break-ins and vandalism and is even at risk for damage by the violent tropical storms that plague Florida most every year. But you can minimize the risk to damage to the interior of your Orlando property by maximizing the strength and durability of its windows by having our team install security window films. That’s right – one call to Window Tint Florida can keep your Orlando home or workplace cooler and more cost-efficient and can make it safer and sounder all at once! Tinting your home’s windows saves you money by cutting down on your cooling costs. 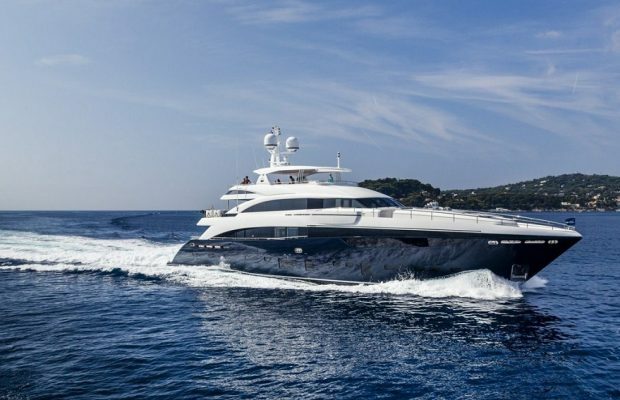 Our window films block the sun’s warming rays and by add insulation to maintain the temperature of treated interior air (which even reduces your heating costs during Florida’s few colder months). Basic windows let sunlight beam into your Orlando home unchecked. Comparing regular glass windows with tinted windows always amazes our customers, but the stats are true: without sacrificing your view at all, tinted windows will block out up to 99% of the hot infrared rays that heat up your home. 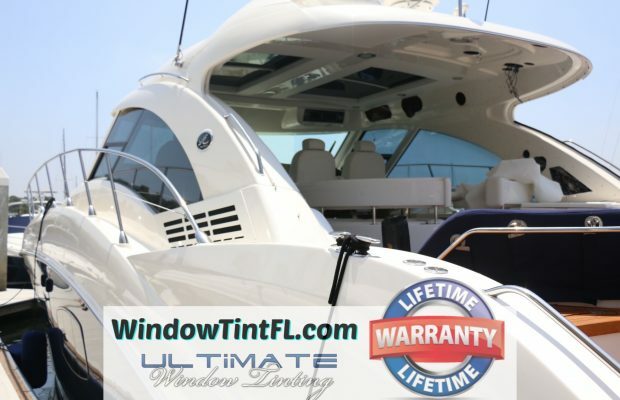 Our window tinting also offers superior protection against the damaging ultraviolet rays that can lead to skin issues (even skin cancer with years of exposure) and which will fade carpets or wood floors and can bleach your upholstery, fade photos and painting, and bleach documents over time. 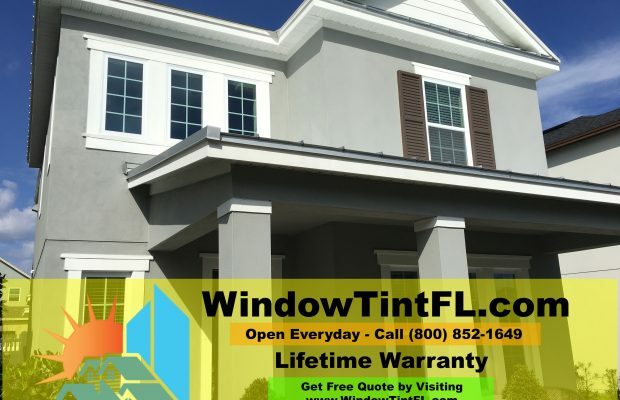 Window Tint Florida uses window tinting films that let in the natural sunlight you cherish in Orlando, because we use high quality Huper Optik window films that don’t block the visible spectrum of the sun’s rays. So you will end up with a bright and lovely interior that’s cooler and less expensive to maintain! From a security standpoint, the windows are the weakest part of any home. You want your family and your possessions kept safe and sound, but no homeowner wants to put bars or grates over the windows of their Orlando home. 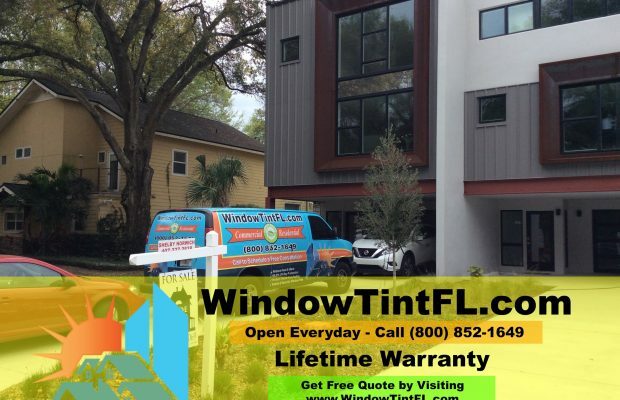 What a blow to the “curb appeal!” Don’t put unsightly cages over the windows, not when Window Tint Florida offers security window films that will leave you with lovely-looking windows that also happen to be highly resilient and shatter resistant. Our security window films stop the glass of your windows from shattering into multiple pieces, holding the broken glass in the frame so your property can’t be entered. These films also keep everyone inside safe against flying shards or dangerous glass strewn across the floor. We stock plural window films that provide your home with both enhanced physical security against break-ins or damage caused by weather and also enhanced privacy. Our privacy window films block the view into your home from the street but will not block your view out into lovely Orlando. Want to give that Orlando home of yours a makeover? Well make sure not to forget about the windows during your big remodel! 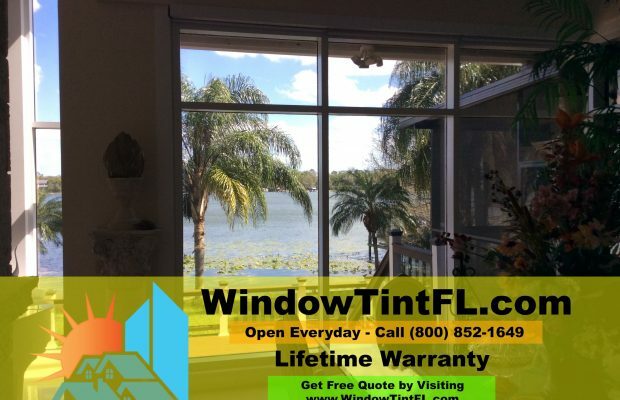 Window Tint Florida uses window films offering a variety of looks, from a soft frost finish (that looks lovely, lets in bright light, but stops the view of those trying to peak in) to a modern metallic/mirrored look (perfect for sleek, recently built homes). We can even use widow films that add color and/or patterns to the windows of your Orlando home! Keeping your Orlando business air conditioned costs a lot of money each year, but any good Orlando business owner/operator knows that keeping their business comfortable for their employees and patrons is a must, especially during the hot Florida summer. 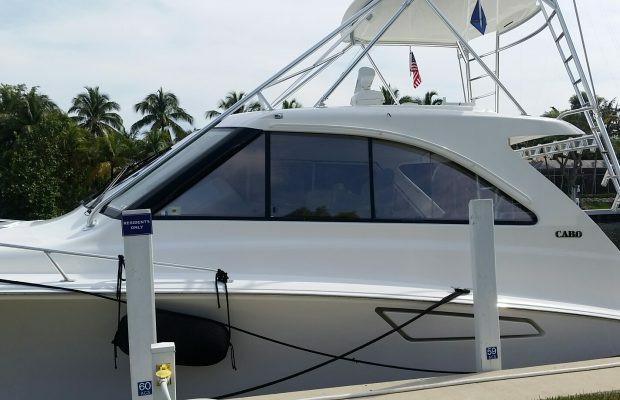 With quality window tinting, though, Orlando becomes a more affordable place to do business overnight – our installations usually take a single day for most small and medium-seized businesses. Keeping the sun’s hot rays out of your office means keeping the bank account bigger, it’s as simple as that. We work with Orlando businesses ranging from mom-and-pop shops to chain restaurants to office complexes all over Orlando, and regardless of the size or type of your business, one fact is always the same: window tinting will eventually pay for itself in reduced electricity costs. Window films block out the infrared spectrum of sunlight; it’s these thermal rays that heat things up and that you want to block. But our window films also let in natural light, so your Orland business stays bright and pleasant. You’ll use less A/C and save more cash – now that’s good for business! Keeping your Orlando business safe is the top priority the business owner. First and foremost that means protecting people, the employees for whom you’re responsible and the customers/clients that keep you in business! You also want to keep your workplace protected against theft and/or damage, of course, and keep all the merchandise, files, and hardware in your workplace protected. As most every thief will use the windows as their place to break into your Orlando business, the smart move is to be one step ahead of the criminals out there and install security window films now. The small investment in security window film will more than pay for itself when a single theft attempt is thwarted and your business is kept safe. We install security window film in all different types of commercial locations around Orlando, from retail shops to banks to dental practices. 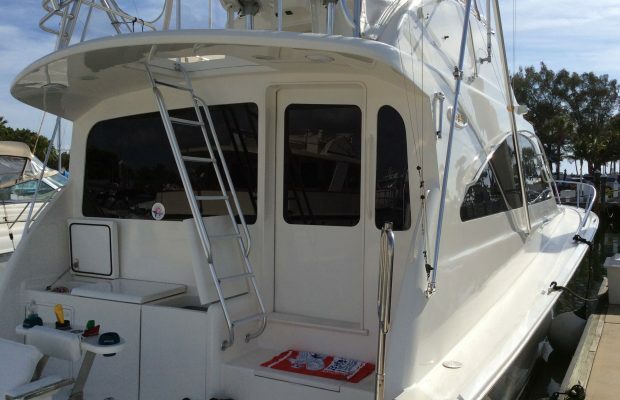 Window Tint Florida uses durable, tough security window film that makes any sheet of glass almost impossible to shatter, meaning those windows are simply no longer a viable point of entry for a thief. If criminals try to break in, you might have to replace a few windows, but that will be all! Security window films keep them outside where they belong. To do their work well, your staff members must feel safe and comfortable while at work each day. And there are few things that make people less comfortable than being watched by strangers peering in the windows. Give your staff (and/or your customers, diners, or clients) the privacy they need to be calm and productive with privacy-enhancing window films. Our privacy window tinting will totally block the view into your Orlando office space, lobby, restaurant, and more without reducing the view from within your business out into sunny Orlando. Our privacy window films also let in plenty of pleasant natural light while blocking the view of those prying eyes.